A brand identity is more than a name or a logo. Branding is a way to differentiate your company from the competition. It influences your customer’s experience on many different levels. Branding your business is important because it will affect how your clients perceive your relevance and credibility. Branding your business requires a large number of inputs, but for now, we will focus on just the visual elements. You want each of these items to be memorable, distinctive, scalable, and cohesive. This phase is both the most critical and labor-intensive stage of branding your business. We try to learn everything we can about your brand. What is your story? Do you already have a logo design? Why did you pick the existing color palette? How has your business changed over the years? No question is irrelevant. After all, branding tells your story, and it’s important that we get it right. The City of Royal Oak wanted a fresh new look and logo for the city. Under the direction of Ideation’s Creative Director, Jon Moses, the team at Ideation talked with residents, city leaders, and business owners and city committee members. 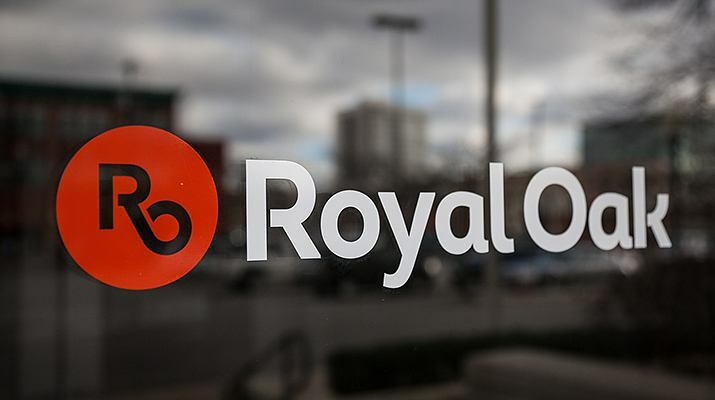 They spoke with the folks at the RO Historical Society, and even people who didn’t live in Royal Oak and discovered that a lot of residents commonly used ‘RO’ when referring to Royal Oak. They developed a logo around those letters. An angular line connects the R and the O for a subtle nod to Woodward Avenue, the iconic and historic road that bisects Royal Oak. The modern and organic type used in the logo brings together the mix of urban downtown and traditional neighborhoods that make up Royal Oak, creating a new urban setting. 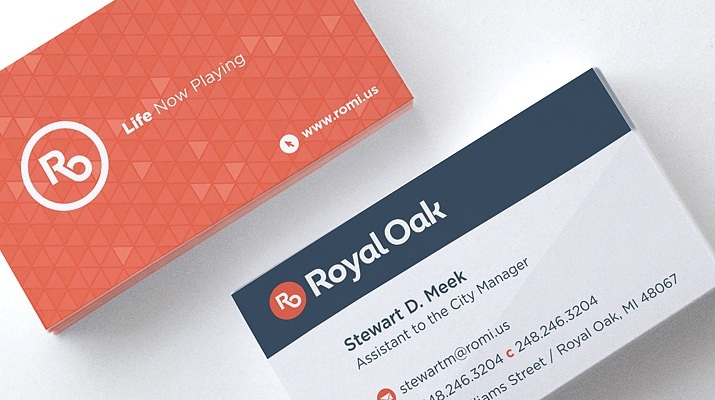 The sunset-orange and cool-gray color scheme were chosen to reflect the energetic and playful nature of Royal Oak. Branding your business is all about resonating with your clients. By identifying both your main and secondary customers, we can formulate an idea of their needs and values. 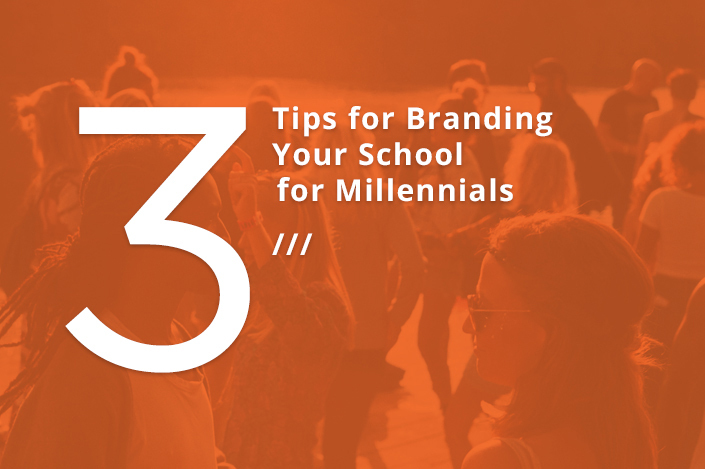 For instance, if you are marketing to Generation Z, then you don’t want to build a brand identity that resonates with Baby Boomers. Your target audience won’t engage. Branding Your Business or Rebranding? Some companies just want to give their brand identity a facelift. This new look is known as rebranding. When this occurs, we need to know how you portrayed the company brand in the past and what changes we need to meet your current business goals. Most of this input comes from employees and possibly a few key customers. Ideation was asked to create a new visual identity for Burtek Enterprises through rebranding. The company suffered some setbacks but emerged strong, under new leadership. It was important for Burtek that their new look communicated that they were back stronger than ever. The purpose of branding is to make you stand out from the crowd. Therefore, you need to consider your competition so that your brand identity is unique. For instance, if all your competitors have gone with a black, gray and red color palette, then you might want to consider using vivid splashes of primary colors. Once you settle on the various design components you want for branding your business, you should always consider how they work together. Do the colors work well with the images? Is there consistency between your logo and your business signs? There are a lot of things to consider when branding your business. Often, it helps if you consult with an experienced design team that can guide you as you develop your brand identity. Ideation can work with you to tell your story. Call and see what is possible.